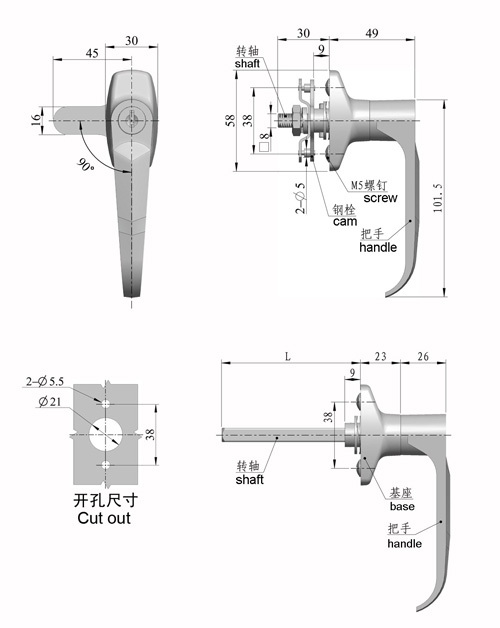 Mingyi Light is professional as one of the leading manufacturers and suppliers of 60001 l handle lock, cabinet lock, panel latch with adjustable cam lever and master key,square shank type accept on request in China. And our factory is located in the convenient city, Quanzhou, enjoying convenient transportation. Please rest assured to buy general products with us or try our customized service.